According to a recent poll, some 13% of Americans believe that President Obama is the anti-Christ. I read about it in USA Today. I think that the idea that 13% of the American people believe that Barack Obama is the anti-Christ is simply ridiculous. Whatever I might happen to think of the President’s policies, I could hardly believe that he is some sort of end-times figure of ultimate evil, opposed to God and whatever is good. Well, maybe he is the Anti-Christ. There seems to be a whole system of beliefs that have grown up over the years regarding the Anti-Christ which do not necessarily correspond to what the Bible teaches. The Anti-Christ is mentioned only in the first and second letters of John. The Greek prefix “anti-” means “against” or “opposed to”. An antichrist, then, is someone or something opposed to, or against Christ. In the context of the verses I quoted, it would seem that rather than a mystical figure of evil, John is referring to one or more persons who are denying the divinity of Christ, or perhaps heretical teachers. Given the probable date of composition of these letters (AD 90-100), he may also be referring to the persecuting Emperor Domitian or to the Roman government generally. The Anti-Christ is often identified with the Beast of Revelation. It is this Beast that is represented by a number that everyone must be marked with. Again, this seems to be a representation of the Roman Empire and its requirement, so odious to Christians, that everyone must worship the Emperor. Thus the Beast could be seen as an Anti-Christ, perhaps the ultimate Anti-Christ, a person so evil and corrupt as to be under the direct influence of the Dragon or Satan. The author of Revelation could have had Domitian in mind, or Nero, or the Roman Empire generally. Paul wrote of a “Man of Lawlessness” in Second Thessalonians. 2 Concerning the coming of our Lord Jesus Christ and our being gathered to him, we ask you, brothers and sisters, 2 not to become easily unsettled or alarmed by the teaching allegedly from us—whether by a prophecy or by word of mouth or by letter—asserting that the day of the Lord has already come. 3 Don’t let anyone deceive you in any way, for that day will not come until the rebellion occurs and the man of lawlessness is revealed, the man doomed to destruction. 4 He will oppose and will exalt himself over everything that is called God or is worshiped, so that he sets himself up in God’s temple, proclaiming himself to be God. The identity of the Man of Lawlessness is not clear. Paul didn’t often write on eschatology and perhaps thought less about the subject than John. He could have had an end times figure of ultimate evil in mind, of he could have been anticipating the coming persecution of the Christians under Nero. 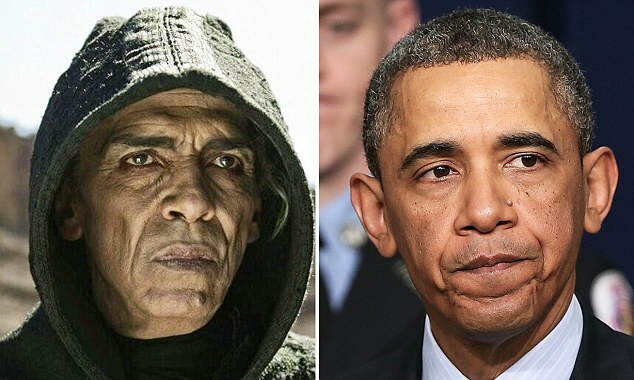 So, is Obama the Anti-Christ? If you consider the seeming contempt he has for Christian values and institutions and his apparent indifference to the idea of religious freedom, both here in the US and abroad, he could well be considered an Anti-Christ, that is someone opposed to Christ, if not the Anti-Christ.